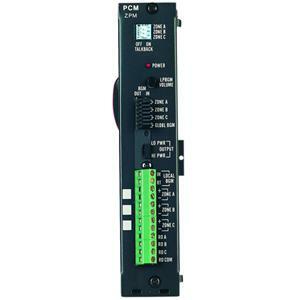 The Bogen PCMZPM zone paging module is for use with the Bogen PCM2000 system. Only one type can be processed per module. Background music can be continuously supplied to all zones not being paged with the addition of a second amplifier.